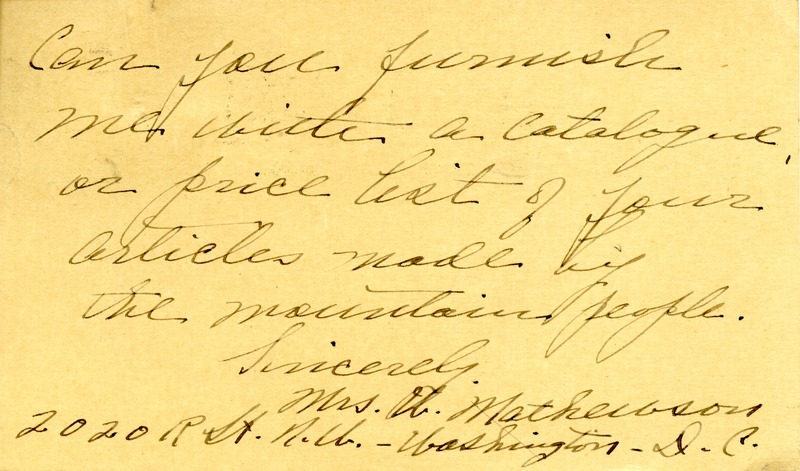 Mrs. Mathewson asks Berry for a catalogue of products made by "the mountain people." 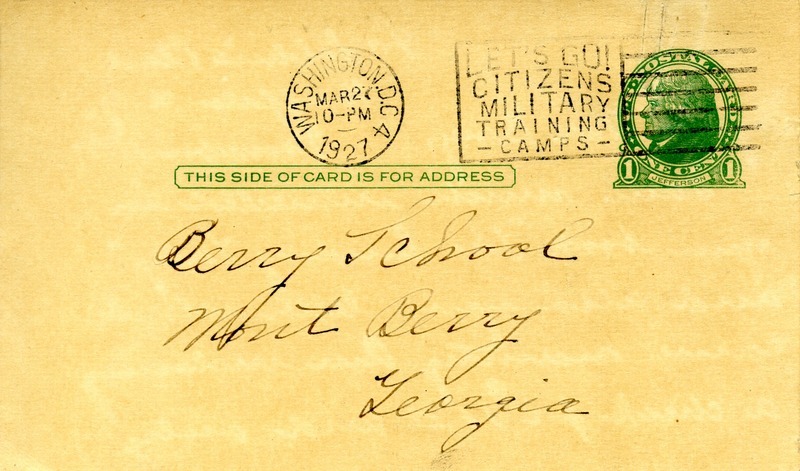 Mrs. Mathewson, “Letter to Berry Schools from Mrs. Mathewson.” Martha Berry Digital Archive. Eds. Schlitz, Stephanie A., Matt Stanard, et al. Mount Berry: Berry College, 2012. accessed April 21, 2019, https://mbda.berry.edu/items/show/4976.